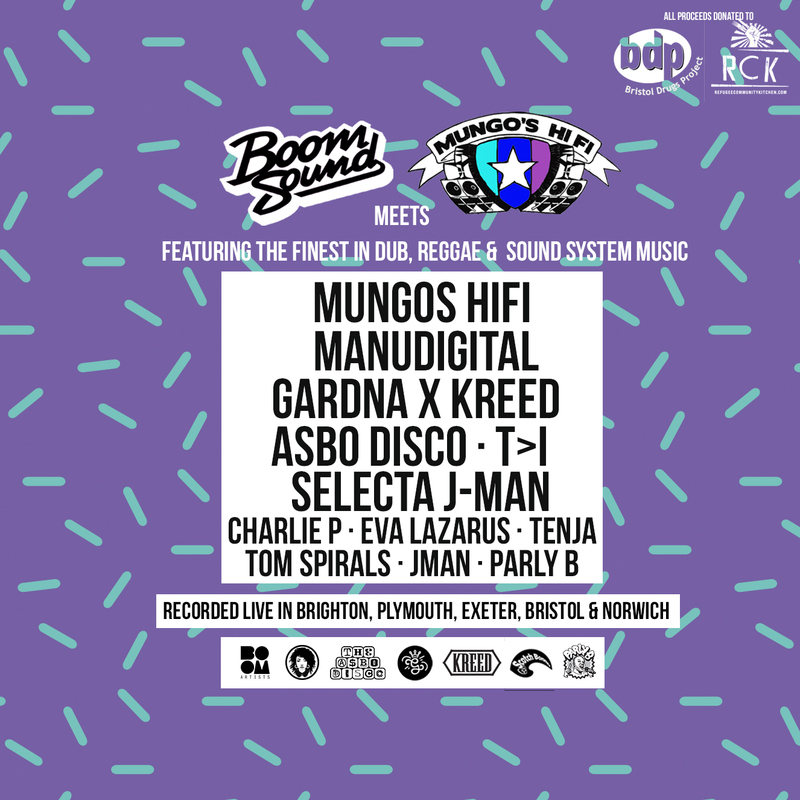 Boom Sound Recordings is giving away their album Boom Sound meets Mungos HiFi - the live recordings in return for donations to Bristol Drugs Project plus others via I Give You Give! Donations start at just £1 for the complete set but we urge you donate as much as you can afford in the spirt of supporting the community. We hope to reach the £1000 mark by April 2018. We support Bristol Drugs Project & Refugee Community Kitchen. You will receive a download link via email immediately after your donation is received. NOT the automatic link provided by igiveyougive. The project features over 7 hours from: ASBO Disco Eva Lazarus Gardna X Kreed Jman Manudigital Mungos HiFi Natty Campbell Parly B Selecta J-Man T>I Tenja Tom Spirals Estimate 1GB download size. 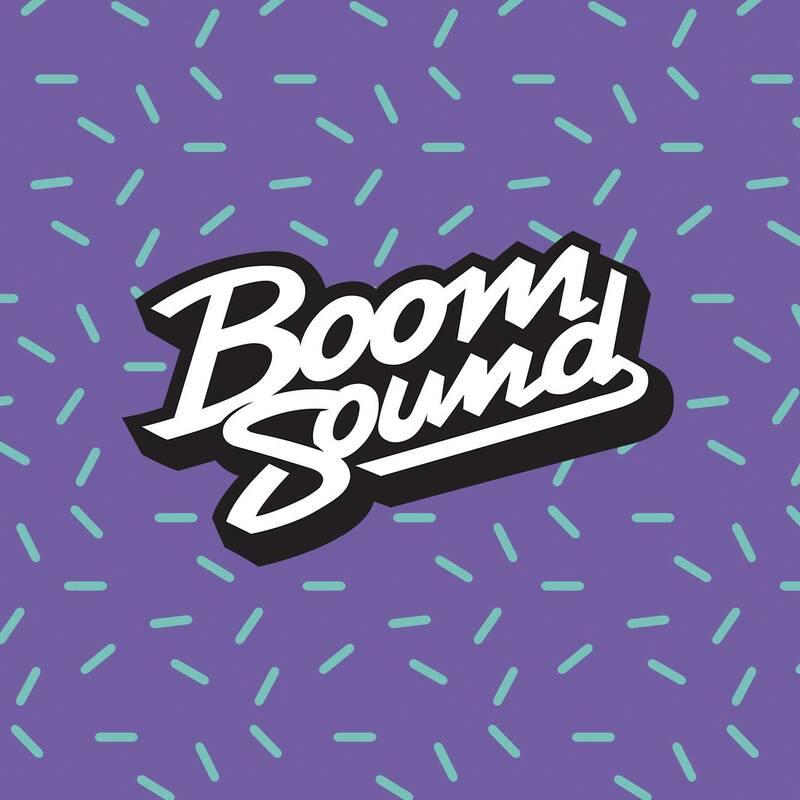 Boom Sound Recordings are a record label based in Bristol, pushing underground sound system music worldwide. Bristol Drugs Project (BDP) has over 30 years’ experience of developing and delivering services for people with drug and alcohol problems who are one of the most marginalised and disadvantaged populations. BDP’s core commitment to providing services is encapsulated in our vision of: ‘reducing harm, promoting change, challenging prejudice and maximising people’s potential to enable individuals to achieve independence from drugs and alcohol’. BDP provides a range of services for individuals seeking support and treatment for problematic alcohol and drug use, as part of Bristol ROADS (Recovery Orientated Alcohol & Drugs Service). 4,386 individuals benefited from our support during 2016/17.